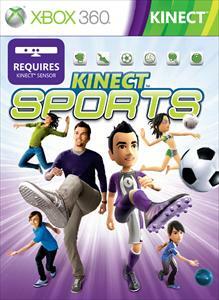 Attention, the game requires a Kinect sensor! Through Kinect Sport, you, your friends and family can get to the virtual stadium and fully unleash your sports potential. There are six exciting sports: football, bowling, athletics, boxing, beach volleyball and table tennis. You no longer need a gamepad - you are your own gamepad! The Kinect sensor will reproduce any movement: from flawless feeding to jumping over the last obstacle. Set personal records in a solo game, defeat computer opponents, challenge players from all over the world through Xbox LIVE, or gather a warm company of friends around your TV for a contest. In case everyone wants to actively participate in competitions, a team play mode is provided along with talismans. If you are not violated and does not violate none of the above items, we are committed to providing full maintenance for 3 months from the date of purchase, and more (after three months, it all depends on your behavior) Banned accounts guarantees are not allowed.Banned consoles sort it out yourself, we are not responsible for your console, and To us this does not apply.The money you paid does not return, the guarantee is carried out and is only valid for the replacement of goods damaged due to our fault. By purchasing any product we have, you automatically agree with all the above.